Much less well-known or visited than it deserves to be, Aveyron is a department of remarkable contrasts; of verdant undulating, never-ending landscapes largely unspoiled by Man; distinctive, authentic and as close to La France profonde as it is possible to be. 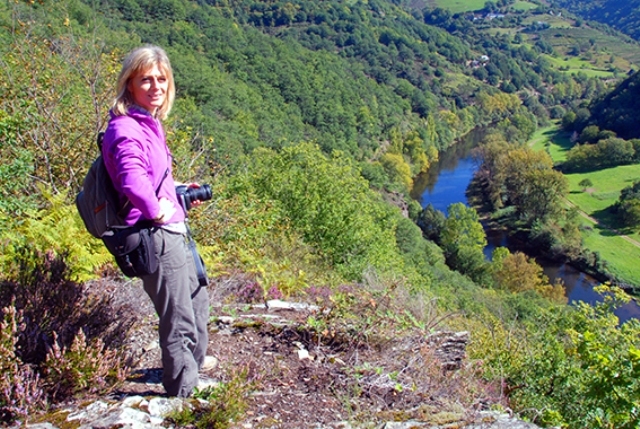 Terry Marsh uncovers his Guide to Aveyron. 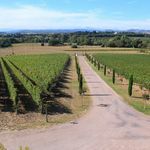 Bordered by the departments of Tarn-et-Garonne, Hérault, Gard, Cantal, Lozère, Tarn and Lot, and with a population of less than 300,000, Aveyron lies at the centre of a triangle formed by the cities of Toulouse, Clermont-Ferrand and Montpellier. It roughly replicates the area of the former province of Rouergue, which existed until the 1790s. Indeed, this very geographical configuration makes Aveyron, set among the foothills of the Massif Central, so varied and intriguing. In the north, the landscape is mountainous, dominated by the plateau d’Aubrac ­­– renowned for its cattle – and descending to the river Lot. In the south, the river Tarn bullies a way through the plateau de Larzac, creating the magnificent Gorges du Tarn. To the west lies a landscape of hills and valleys, threaded by rivers that all confluence with the Aveyron river and then onwards to reach the Atlantic at Bordeaux. 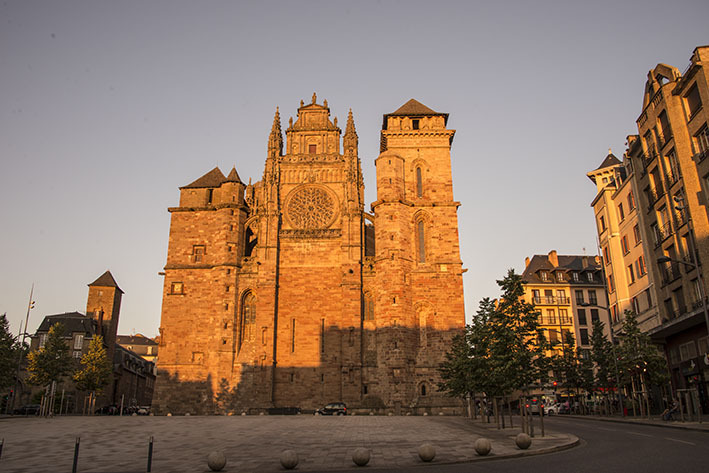 The departmental capital is Rodez, a modern city with an historic centre and a dominant cathedral, but not of itself a tourist destination, other than as a very convenient base from which to explore. Yet this fascinating town is a centre for discerning travellers, those who appreciate the vast Gothic architecture of its cathedral, and the almost quaint idiosyncrasy of its narrow streets and market squares. Beyond Rodez, the appeal of Aveyron lies not in magnificent incontournables, but in breathtaking scenery, cultural heritage and gastronomy. 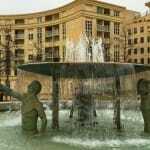 Away from the main urban settings, you are faced with harmony, peace and elemental one-ness. It will surprise many that this is the top département for walking in France, with more than 900km of long distance Grande Randonnée footpaths and a network of 4,000km of shorter walks, enabling everyone to benefit from the open spaces heady with the scent of thyme. Inhabited since prehistoric times, over the centuries, Man has left his mark in the form of statues-menhirs (this is the richest département in France for the number of megaliths), to Middle-Age new towns, and the abbeys, and sites of the Knights Templar and Hospitaler that commemorate the arrival of military orders. Remarkably, the department embraces no fewer than ten villages that enjoy the company of the ‘Most Beautiful Villages in France’ – among them, Conques in the north, La Couvertoirade in the south, Sauveterre-en-Rouergue (where I once had boiled eggs as a main course in a Michelin-starred restaurant), beautiful and elegant Najac with its stunning castle, and the tiny village of Peyre, which offers a great view of the Millau viaduct. The nearby town of Millau – at the centre of the Grands Causses Regional Nature Park and at the confluence of the Tarn and the Dourbie – is now pulling in tourists by the thousand to see the viaduct, which carries the A75 autoroute across the Tarn gorge. 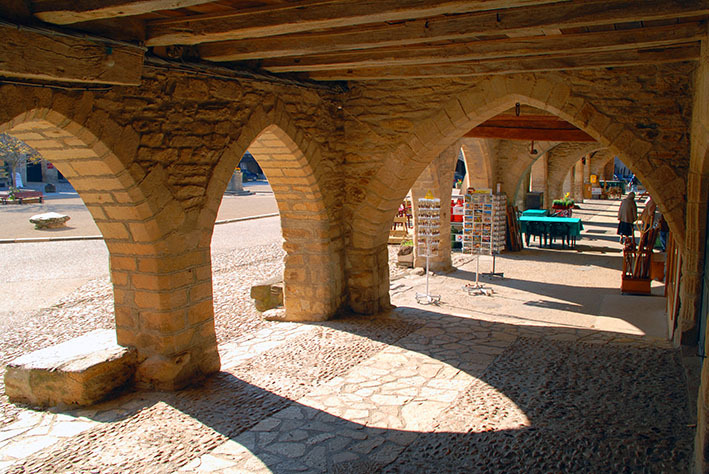 So well-endowed is Aveyron in its patrimony, you can fashion an entire holiday just visiting the beautiful villages and the no less beautiful bastides, fortified medieval communities designed for defence, law and order. 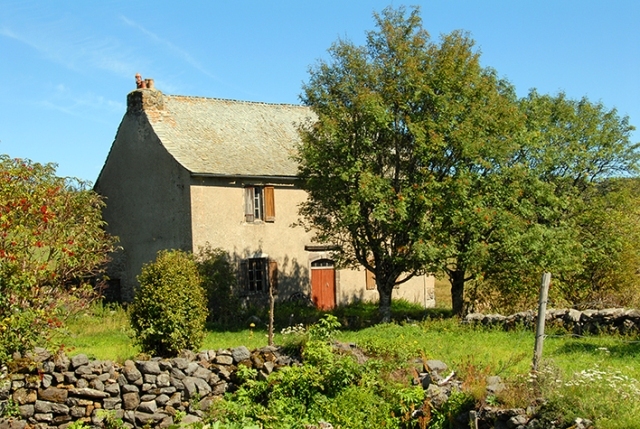 Scratch the surface of Aveyron almost anywhere and it bleeds history. Those in search of gastronomy will delight, too. Foie gras, charcuterie, cheeses (including the famed Roquefort), aligot (a purée of mashed potatoes and Tomme cheese) and gateaux are the cultural foundations on which the reputations of Michelin-starred restaurants lie. No less so than the restaurant Michel Bras in the cutlery producing town of Laguiole, the spirit of which is now reflected in Café Bras in the Musée Soulages in Rodez where, too, you will find the restaurant Gout et Couleurs of Emmanuelle and Jean-Luc Fau tucked away in a back street of the old town. Remote and wild, the uplands of the Aubrac are as exquisite as any part of France, their hill slopes making them adequate in winter for cross-country skiing, and in summer for long and invigorating walks. There is an agreeable authenticity of culture about the Aubrac, a place that still sees the annual tradition of transhumance, as cattle are taken to summer pastures: a land of mountains, pastures and forests wherein the sounds of silence engage the companionships of solitude, and narrow lanes beckon like an impatient child. In comparison, the Lot is better known, yet there are reaches upstream that remain largely undiscovered, and blessed with traditional medieval villages built of local stone and roofed with the slate of the region. In contrast, the Tarn has its source high in the Cévennes region from which it descends to the predominantly limestone landscape of the almost lunar landscapes of the causses, and en route creating deep canyons and underground rivers. 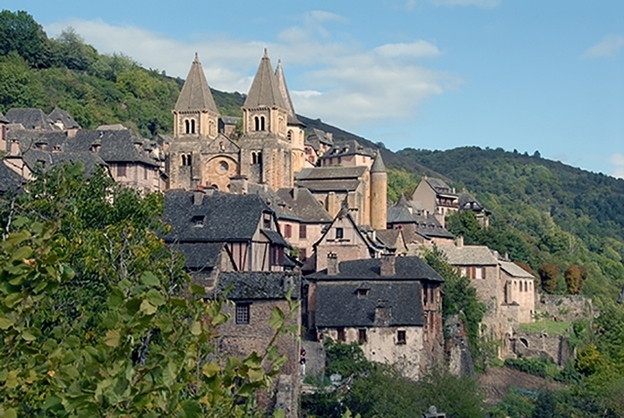 Aveyron is indeed profound, accessible, enigmatic, exciting and appealing and a place for many repeat visits. It well repays leisurely exploration. Comité Départemental du Tourisme de l’Aveyron, 17 rue Aristide Brian, 12008 Rodez. 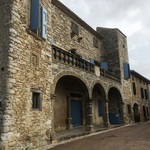 Tel: 05 65 75 40 12; www.tourisme-aveyron.com. Take the A75 to Séverac le Château, then the RN88 to Rodez, which continues past Rodez to Albi and Toulouse. SNCF trains depart daily for Paris and Toulouse (Tel: 3635). Airport Rodez-Aveyron (Tel: 05 65 42 20 30; . This hassle-free airport hosts links with Paris (www.easternairways.fr), Dublin and Brussels (www.ryanair.com). 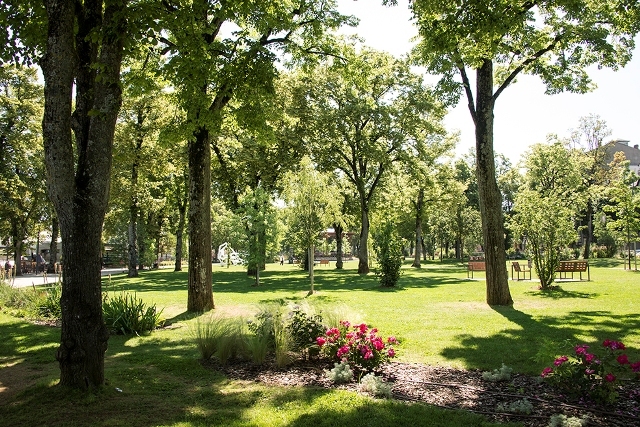 Café Bras, Jardin Public du Foirail, Avenue Victor Hugo, 12000 Rodez. Terry Marsh stayed in Rodez as a guest of Tourism Aveyron.